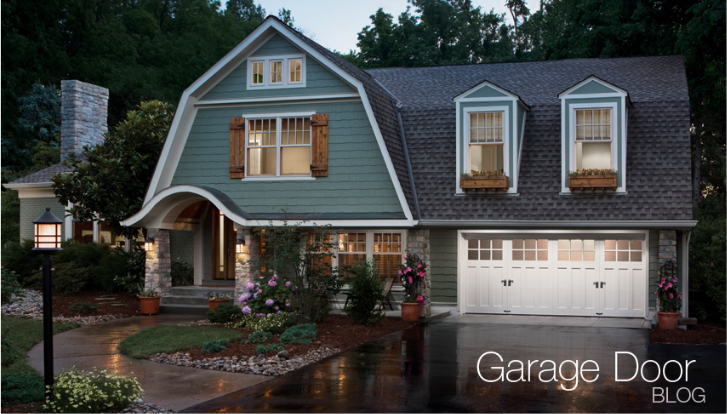 In the market for new garage doors? If you haven’t looked at garage doors lately, prepare to be pleasantly surprised. Here’s what you need to consider when you’re shopping. Budget. Like everything, budget dictates options. Garage doors range in price from a few hundred to several thousand dollars depending on the size, materials and design you choose. Even if you have a small budget you can still get a great looking door that is going to enhance the look of your home. Design. Visit retailers and review manufacturer web sites to get a sense of the options available, but ultimately let your home be your guide. The garage door design you choose should complement your home’s architectural style, the shape and size of the windows and entry doors, and other exterior details. Clopay offers the Door Imagination System, a free web based app, to help you visualize what a new garage door will look like on your home, so you can try before you buy. Check it out at www.clopaydoor.com/DIS/garage-door-imagination-system.aspx. It’s also available on Facebook at www.facebook.com/clopaygaragedoors so you share the options and gather opinion from your friends. Insulation. Doors can be insulated or non-insulated. If your garage is attached to the house, choose an insulated door. This will help reduce utility bills – both in hot and cold weather. An insulated door is especially important if there is a regularly occupied room above the garage. In addition to being more energy efficient, it will also help block out noise. Lifestyle. If you have children or use the garage as a workshop, opt for an insulated, heavy gauge steel door that isn’t going to dent every time a ball or bike hits it. This type of door will also help keep the space a comfortable temperature. Upkeep. Maintenance is another consideration. Every door needs regular check-ups to maximize its life and reliability. Doors made from steel or composite are very durable and virtually maintenance-free, but some people prefer the warmth and character of wood and the limitless design options. Depending on the climate and exposure, wood doors will need to be painted or stained every few years. Building Code Requirements. If you live in a coastal region or high wind area you may need a reinforced door as specified by the local building code authority. Because of their size, garage doors are more susceptible to wind damage than other exterior openings – especially two-car garage doors. Unless you have a tested, reinforced door installed, high winds can force it out of the opening, putting your home and property at risk. “Green” Factor. Sustainability is a key element of green building, and, with a life cycle of between 15 and 20 years, an investment in a durable garage door that can withstand the rigors of daily use is money well spent for a home and the environment.Look for heavy-gauge steel to ensure a quality appearance, dent resistance and quiet operation, a hot dipped galvanized coating topped with a baked-on paint finish that resists fading and peeling, and environmentally safe, good insulation that is bonded on both sides of the door panel for improved strength and energy efficiency. Materials. Today, homeowners can choose among wood, steel, composite or aluminum garage doors. Tomorrow we’ll look at the pros and cons of each.